Wintery Jerusalem is a unique, warm, cozy and attractive city with lots to do. 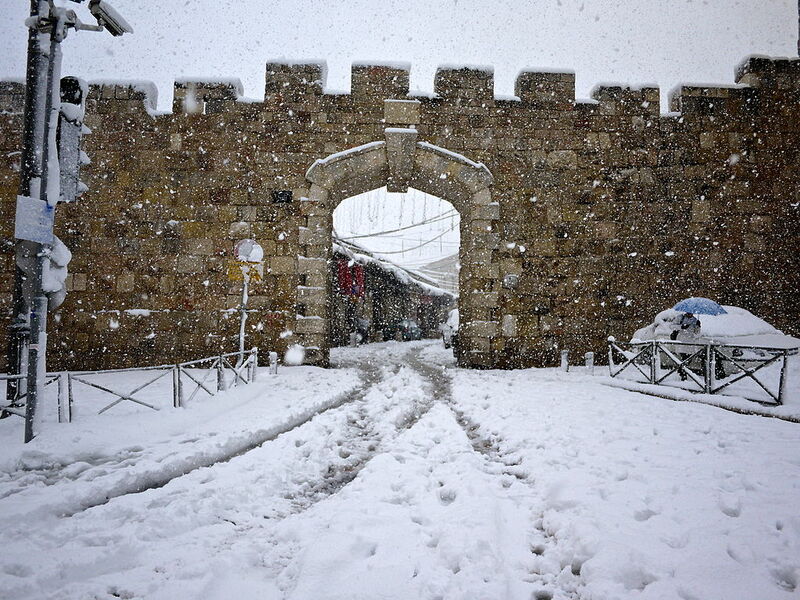 Chamshushalayim is a cultural festival – the official winter tourism of Jerusalem. The festival offers special weekends, where cultural institutes and main tourism sites, including museums, galleries, theaters and other sites are open to the public free of charge. The festival hosts exhibitions, concerts, theater, music and dance shows. Moreover, many restaurants throughout Jerusalem offer special menus for the festival for special prices and selected hotels in the city offer special deals and packages, for a special, discounted price. The Shaon Horef Festival, organized by the Youth Authority of the Jerusalem Municipality, is a series of winter events on fixed dates, which will encourage you to crawl out of your down comforter, take your winter jacket and hit the streets of Jerusalem. Every day of the festival is dedicated to a different central area in the city, which hosts events, shows, lectures and attractive, warming activities. Hannukah in Jerusalem is a special winter holiday, full of lights, flavors and history. The menorah tours in Jerusalem offer a tour through old neighborhoods, in the Old City’s Jewish Quarter and in the ultra-orthodox neighborhoods nearby, where the holiday takes a historical, unique interpretation. The lights gleam between the alleys, the scent of fried “latke” (fritters) enter one’s nostrils and the jelly doughnuts of Shuk Machane Yehuda are warm and tempting (and fattening…). Tightly wrapped in your coats, listening to the sounds of special music, you will explore the story of the city of Jerusalem through giant imageries of virtual reality. The Night Spectacular Light Show at the Tower of David Museum is performed by a “legerdemain” technique, enveloping the viewers with a unique, multi-sense experience. The story of Jerusalem and its history over the past 4,000 years is told over the rocks of the museum’s yard, through fascinating colors, various sounds from different periods and with voices from the past. Jerusalem’s restaurants offer rich winter menus, with soups, stews that warm every corner of your body, alcohol and a romantic, winter atmosphere. In Jerusalem, being an international city, you will find all types of cuisines and flavors from every part of the world, yet with a secret Jerusalem spice, which turns every meal into a special culinary experience.